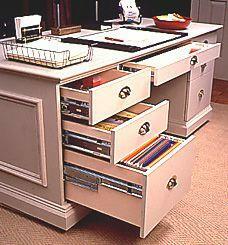 Eight side drawers and a generous sized lap drawer plus easy to follow plans. 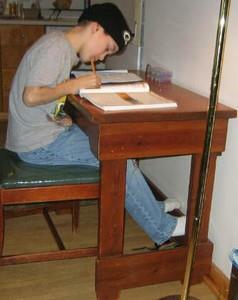 Give your kids their own place to do their homework by building them a desk. 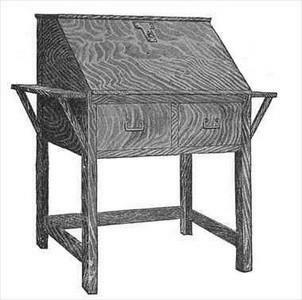 This rugged and sturdy desk is great for kids or you can customize it into a larger desk. 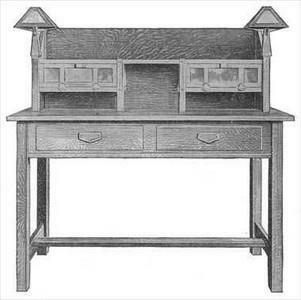 This handsome desk styled in pine will fit in with knotty pine rooms, dens, or even with Early American furnishings. Because of its practical size, it is especially useful where space is at a premium. The plywood construction makes it extremely strong and durable. 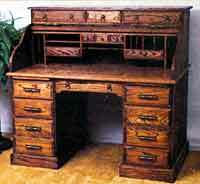 Antique reproduction writer's bureau, with a hide away desk and a built-in cupboard. 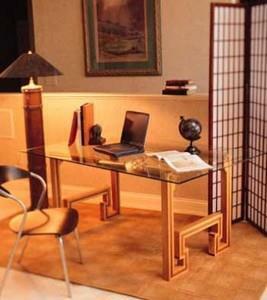 The desk is constructed by laminating strips of wood together. Plenty of storage space, seven drawers & nearly sixteen square feet of surface area. 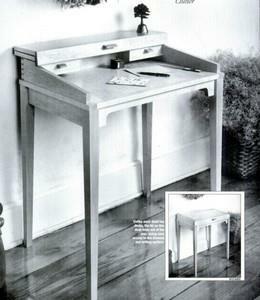 This is a small, compact antique-looking writing desk. 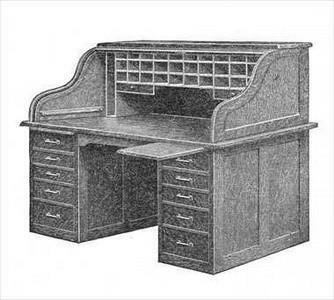 Build a mission style roll top desk with lots of cubby holes. 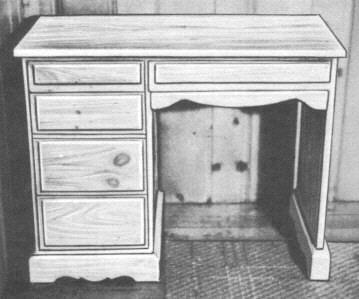 Create an amazing piece of furniture that will be cherished for many generations. 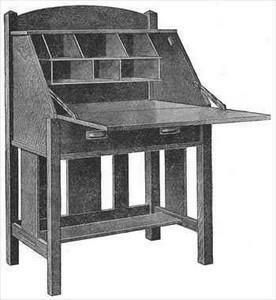 This is a most practical desk to have in an office for drawing, drafting, and writing. 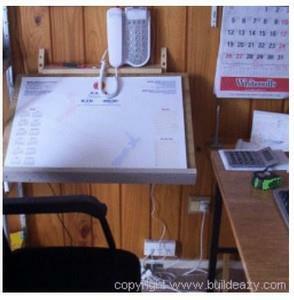 It's positioned handy to the work area to conveniently write and draw. Tired of sitting in an office chair with your arms crimped around the keyboard all day? 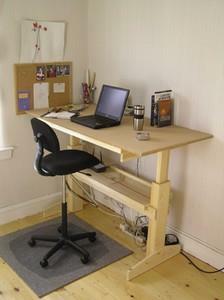 Using these plans you can make an adjustable desk. For about $150 you can build this adjustable office desk. 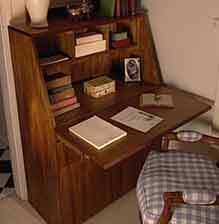 Eliminate clutter by building a mission style writing desk with all kinds of cubby holes and shelves.